An easy snack for you and your friends. With football season starting this is a great way to start any kick off. Mix together the CannaCream Cheese, bacon bits, paprika, salt and pepper. 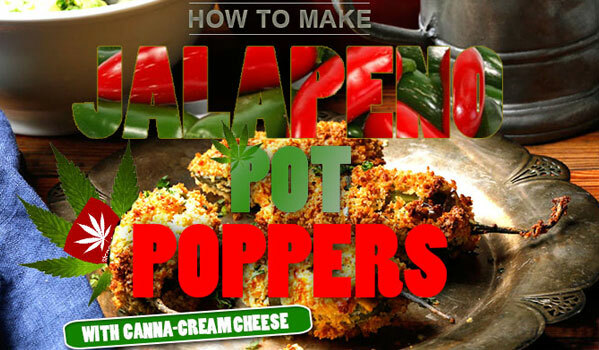 Fill the prepped jalapeno halves with the cheese mixture. Set the milk, flour and bread crumbs in 3 separate bowls. Dip the stuffed jalapenos into the milk then into the flour, making sure to coat well. Set aside. Repeat with all peppers. Let the milk and flour coated jalepenos sit for about 5 minutes. Dip the jalapenos in milk for a second time, but this time follow with breadcrumbs. Repeat until all jalepenos are breaded. Allow peppers to dry for about 10 minutes before frying. Make sure all peppers are coated in the breadcrumbs; repeat the coating steps above if necessary. Fry the jalapenos for 2 minutes on each side, or until golden brown. Allow peppers to drain on a paper towel before serving. Serve them hot and enjoy! Be sure to check out more awesome stoner recipes! 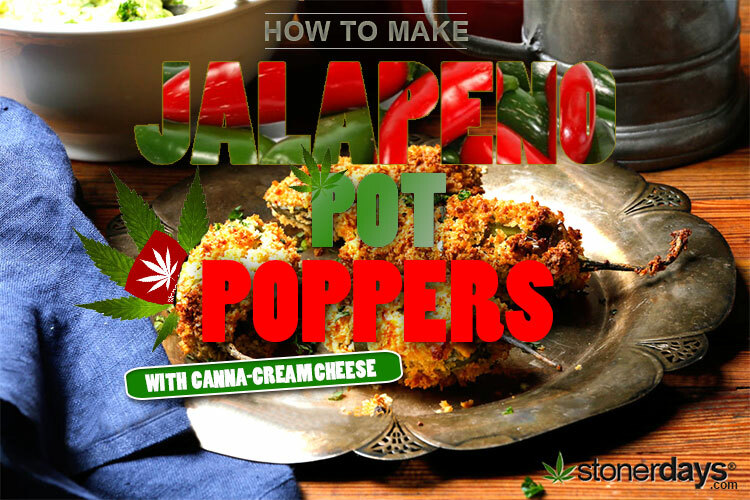 This entry was posted in Stoner Blog, Stoner Cookbook and tagged cookbook, stoner.